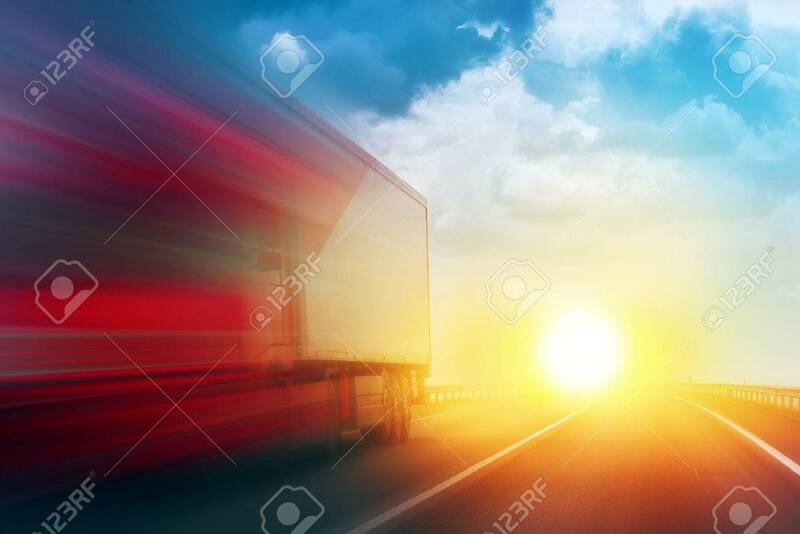 Speeding Transportation Delivery Truck On Open Highway With Sun Settimg Down On Horizon In Background. Фотография, картинки, изображения и сток-фотография без роялти. Image 41199826. Фото со стока - Speeding Transportation Delivery Truck on Open Highway with Sun Settimg Down on Horizon in Background.